The U.S. Coast Guard responded to the sinking of an out-of-service tugboat on Wednesday April 19th at approximately 10:15 p.m. The 81-foot tug, POWHATAN, had been docked at the Samson Tug and Barge pier. The vessel initially sunk to a depth of about 15 meters but then shifted. 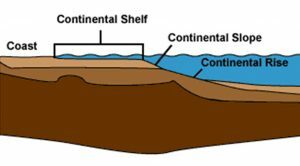 The downward sloping shelf carried the sunken vessel about 330 meters out in Starrigavan Bay to its current depth of approximately 60 meters (approximately 7 miles north of Sitka). The tug had been out of service for more than 10 years. According to a situation report issued by the Alaska Department of Environmental Conservation, the Powhatan was carrying 325 gallons of lube oil, 12 gallons of diesel, and possible sludge in the bottom of the main tanks.